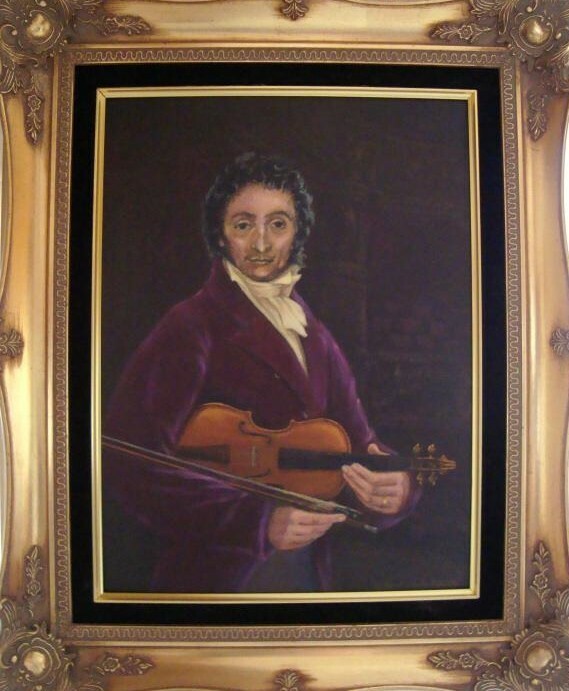 · Nicolò Paganini (born Genoa, October 27, 1782, died Nice, May 27, 1840) was an Italian violinist, violist, guitarist, and composer. He was one of the most celebrated violin virtuosi of his time, and left his mark as one of the pillars of modern violin technique. His caprice in A minor, Op. 1 No. 24 is among his best known compositions, and serves as inspiration for other prominent artists from Johannes Brahms to Sergei Rachmaninoff. There seems to be quite a few portraits of Paganini (obviously there are no photographs of him) and so I decided to base his portrait from an existing pencil sketch, which in my opinion would carry the most likeness of Paganini. Paganini the most celebrated of all violin virtuosos and one of the most accomplished. Nicolo Paganini was the last and greatest of the Italian virtuosi, some would say the greatest violinist ever. Of humble Genoese origins, he initially studied the mandolin with his father. He was also an expert guitarist and left many compositions for that instrument as well as for the violin. The later include concertos, chamber music and works for solo violin all of which testify to his extraordinary technical skill. The last of his twenty four caprices for solo violin is the source of the theme used for variations by Rachmaninov, Brahms, Lutoslawski and others. If Beethoven in many ways typified the romantic concept of the artist as hero, the career of the violinist and composer illustrated the phenomenon of the era. 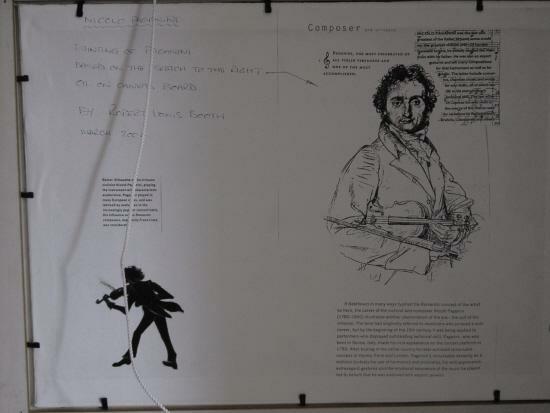 Paganini made his first appearance on the concert platform in 1793. After touring in his native country he later achieved remarkable success in Vienna, Paris and London. 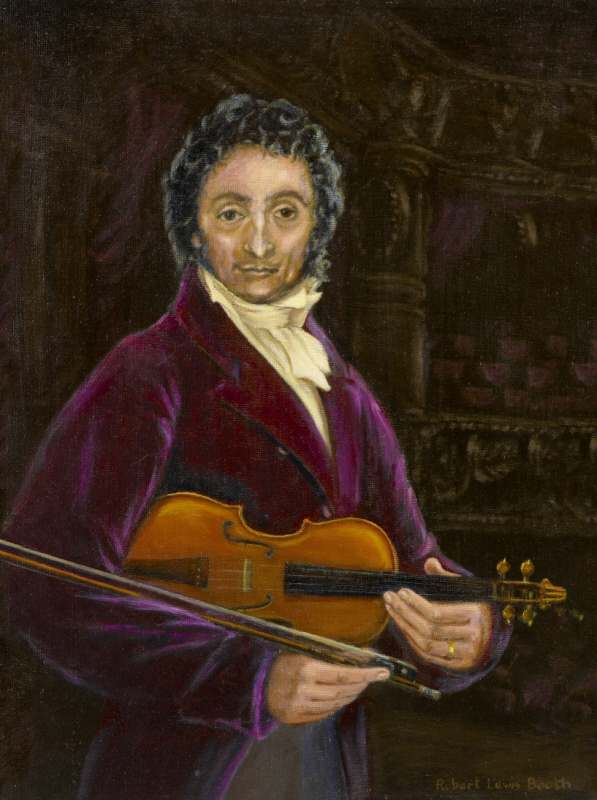 Paganini’s remarkable dexterity as a violinist, notably his use of harmonics and pizzicato. His wild appearance extravagant gestures and the emotional resonance of the music he played led to beliefs that he was endowed with satanic powers. Paganini played in many European cities, and was idolised by audiences in the increasingly popular concert halls. His influence on the Romantic composers, especially Franz Liszt, was considerable.